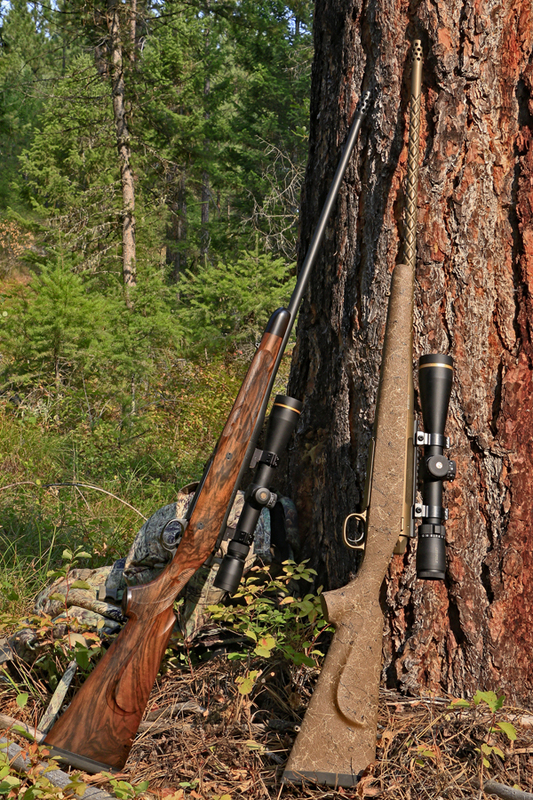 Here at Canyon Creek, We Specialize in Heirloom Quality Wood Stocks and Wood Stocked Rifles. If you are not familiar with us, you should know that LeRoy also does the Precision Gunsmithing on Our Rifle Builds. If you are looking for a Precision Longe Range Hunter in a Synthetic, We Can also Fill Those Needs. If a True Custom is what You Desire, wether you want Beautiful Wood Stock Rifle or a Rugged Hunter, Look No Further. With 50 Years of Combined Experience in the Gun Building Trade, LeRoy and Connie Barry, owners of Canyon Creek Custom Gunstocks, LLC, have Considerable Experience with a Very Extensive Array of Different Manufacturers of Rifles and Shotguns. LeRoy worked for Cooper Firearms as Stock Shop Manager, Stock Designer, Customer Service Manager, and Gunsmith for over 14 years. If you are Looking for a High Grade Custom Stock or Complete Custom Rifle or Shotgun, Go No Further, as No One Else Can Equal LeRoy's Experience with Cooper, Anschutz, Winchester, Remington and Many Other Actions. Everything from the little 17 caliber actions to the Big African Magnums, Including Your Long Range Precision Calibers. Connie Barry of Canyon Creek Custom Gunstocks, LLC has gained World Wide Recognition and Appreciation for her Elegant and Well Executed Custom Checkering Designs. Connie's Flawless Execution in Layouts and Design on her Checkering Patterns, Truely Set Canyon Creek Custom Gunstocks, LLC, Apart From the Rest.